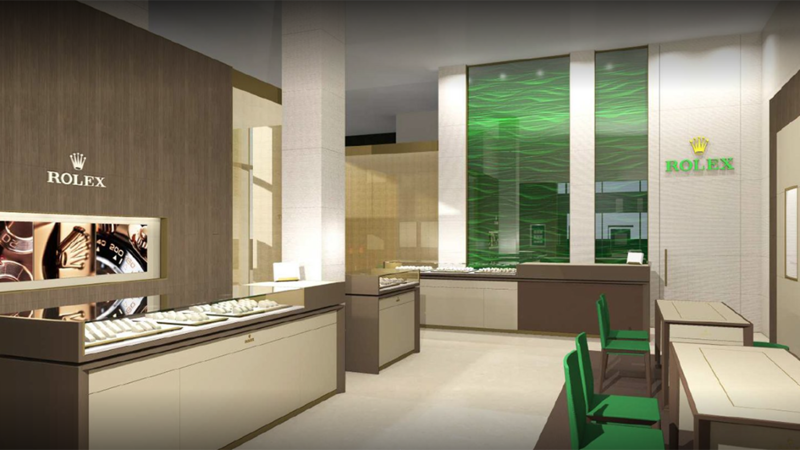 La Difference Time Centre, exclusive retailer of Rolex watches, is now open in Downtown Markham. La Difference Time Centre, exclusive seller of the eponymous Rolex brand, celebrated its grand opening in Downtown Markham. In keeping with the luxury brand, customers will experience a comfortable, catered experience in the bright and elegant new space at 180 Enterprise Boulevard just steps from the new Toronto Marriott Markham. Not surprisingly, no attention to detail was spared in the spacious interior, each chair, counter and display case carefully crafted with precision to Swiss standards. The store, which features supple green leather furnishings and textured wood finishes, also includes a VIP room. Hours: Monday-Sunday, including Boxing Day Dec. 26, from 11 a.m. to p.m.
For more information about La Difference Time Centre, visit: ladifference.ca.